As if Roseanne Barr’s repugnant Nazi pictures aren’t enough, the comedienne took offensive shots at more minorities, this time taking aim at ABC’s Black-ish and Fresh Off the Boat on her resuscitated MAGA-sitcom Roseanne. 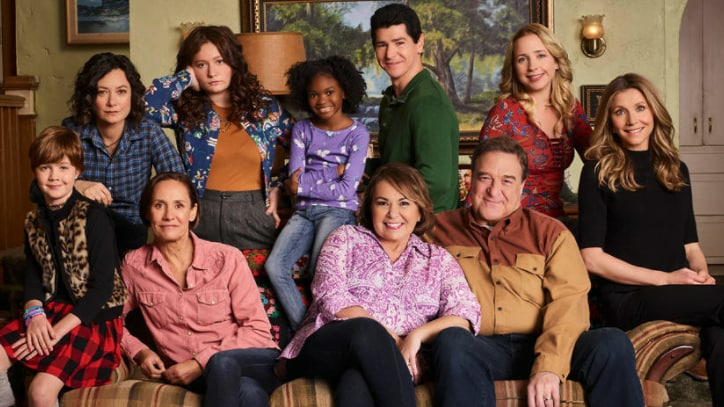 This week’s episode following the blue-collar Connor family called “Roseanne Gets the Chair” basically threw Black and Asian families under the bus. By having the white female protagonist say “they’re just like us,” it basically means that all the claims of racial discrimination and cries of injustice by black and brown people and other people of color, just doesn’t matter and isn’t worth listening to. By saying “We slept from ‘Wheel’(Wheel of Fortune) to ‘Kimmel.’ (Jimmy Kimmel Live)” they are basically saying the shows shown in-between are a waste of time and aren’t worth watching. It’s a sad turn of events given that ABC has been celebrated for their diversity and inclusion efforts thanks to the creative genius of TGIT mastermind Shonda Rhimes and Black-ish creator Kenya Barris. Even Daniel Fienberg, a writer for The Hollywood Reporter who wrote a glowing review of Roseanne the first week out, is now done with the show after the Connor’s tone-deaf lines. I’m sure it reflects poorly on me that I wrote a relatively positive review of “Roseanne” and have generally stood by it, but tonight’s snide dismissal of “Fresh Off the Boat” and “black-ish” is probably my bridge too far. My tweet is probably MY only pushback, since I’m probably done with the show now. I was only an on-and-off viewer of the original, so… No big loss. And while President Dumpster Fire has taken credit for the show’s record ratings, co-showrunner Bruce Helford tells The Hollywood Reporter that it is always strange when politics a and television entertainment try to mix. “I remember back in the day on Family Ties (which had Helford on its writing team), President Reagan wanted to appear on the show. And [show creator] Gary David Goldberg, who was a staunch liberal Democrat, said, ‘No way,’ ” Helford recalled. He also asked that viewers try to separate Barr’s real-life Trump support from the show. Roseanne’s latest pot-shots just prove that she’s truly one of Trump’s deplorables both on air and off.